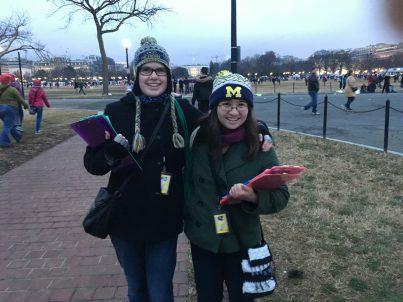 LSA /OS Honors students Katherine Ruehrdanz and Rebecca Strauss conducted research during the Inauguration weekend in Washington, DC. 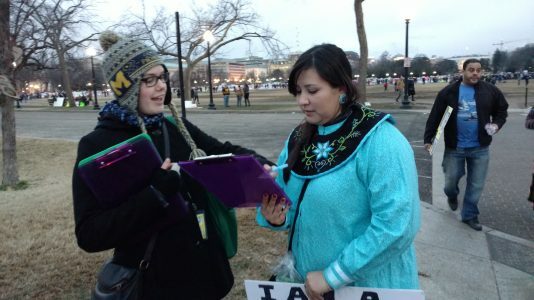 Specifically, they conducted surveys at the Counter-Inaugural protests and the Women’s March on Washington. They were accompanied on the trip by Assistant Professor Michael Heaney. 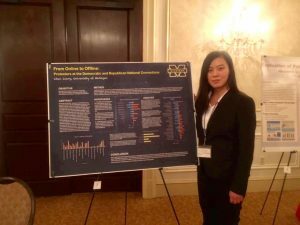 Both women are writing honors theses in Organizational Studies (OS).